We must all walk our own path through this world and this life. That path will intersect many other paths, it will even share space with other paths for various lengths of time and at various points along the journey, but your path will still be your path. 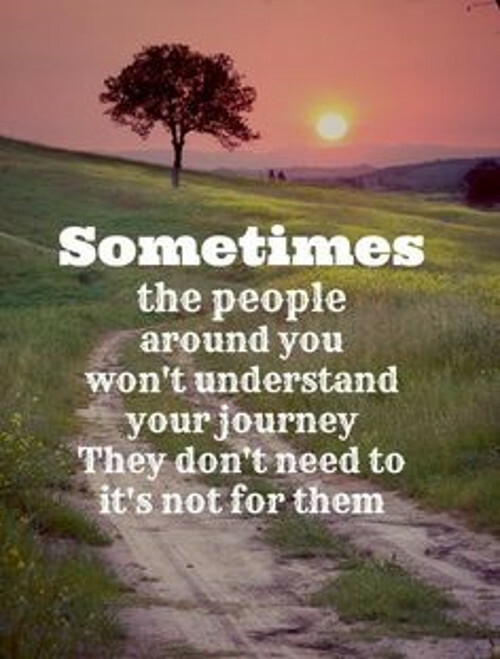 Enjoy the company you have while you have the company, but understand that only you can know all of the details of your own path. Chances are, you don't understand all of those details, yourself - I know I don't - so why expect anyone else to? People are going to misunderstand you, and that's fine. Walk your path.